BCDB Rating: 5/5 Stars from 3 users. This page has been viewed 35 times this month, and 4374 times total. Cartoon Characters: Flash Gordon, Dale Arden, Zarkov, Thun, Ming the Merciless, Princess Aura, Prince Barin, Vultan. Voice Actors: Robert Ridgely, Bob Holt, Diane Pershing, David Opatoshu, Melendy Britt, Robert Douglas, Ted Cassidy. Directed By Gwen Wetzler, Bob Kline, Marsh Lamore, Kay Wright. Produced By Don Christensen, Norm Prescott, Lou Scheimer. 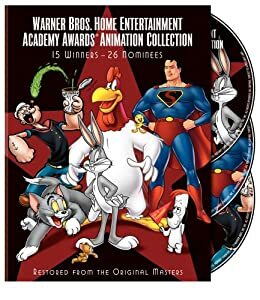 Animated By Leon Davush, John Garling, Milt Gray, Lou Kachivas, Ron Myrick, Bill Nunes, Karen Peterson, Chrystal Russell, Ernie Schmidt, Dardo Valez, Woody Yocum. Written By Samuel A. Peeples, Alex Raymond. Music: Yvette Blais, Jeff Michael. Originally Released on August 21, 1983. Originally Aired on NBC-TV (USA). The last Filmation special before the studio was bought by a French firm and closed permanently a little over five years later. Do you have anything to add to this page? Have we made any mistakes... or do you have any additional information about Flash Gordon: The Greatest Adventure Of All? If so, we would love to hear from you. Please send us a quick note with your additions or corrections to this page, and we will make the corrections as soon as possible! Do you love Flash Gordon: The Greatest Adventure Of All, or do you think it is the worst cartoon ever? Let us know what you think! Surely you have an opinion... so share what you think. Take a minute and post your own comments about this cartoon here. Flash Gordon: The Greatest Adventure Of All by Big Cartoon DataBase is licensed under a Creative Commons Attribution-NonCommercial-ShareAlike 4.0 International License.